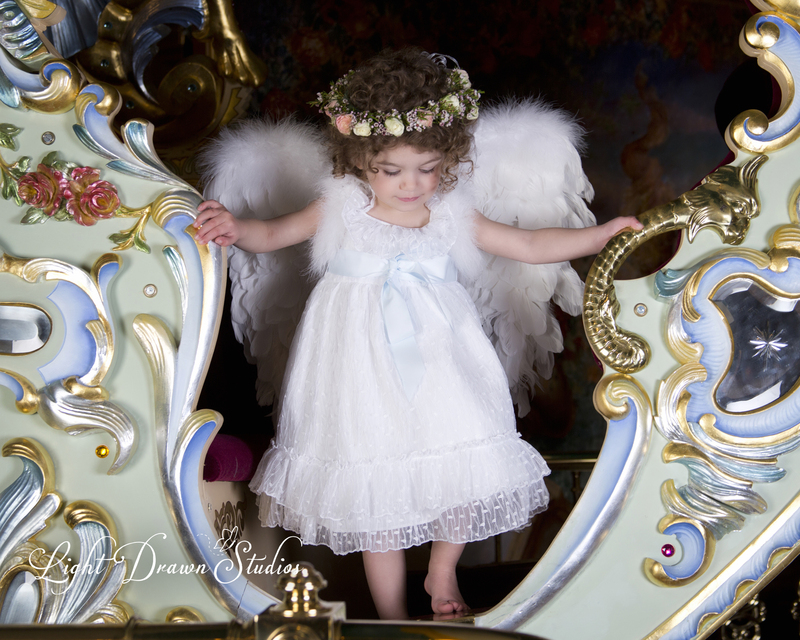 April's Angels - Light Drawn Studios, Inc. When from the front door we heard the emphatic knocking of my 4 year old son banging on the side windows...He was pounding with both fists... chanting…”I want to wear the wings!” We decided to open the door and let him in...I quickly took of his t-shirt and strapped my angel wings onto his bare back. We tossed a gold halo onto his head and the rest is history. Perhaps one of the sweetest angel portraits I have ever created...alas...I have been sworn to not share the images from his break in session...so you won’t see them here...but when the day comes that he gets married...you bet those portraits will make it into his wedding slide show! We have come a long way since those fledgling years of photographing in my living room. 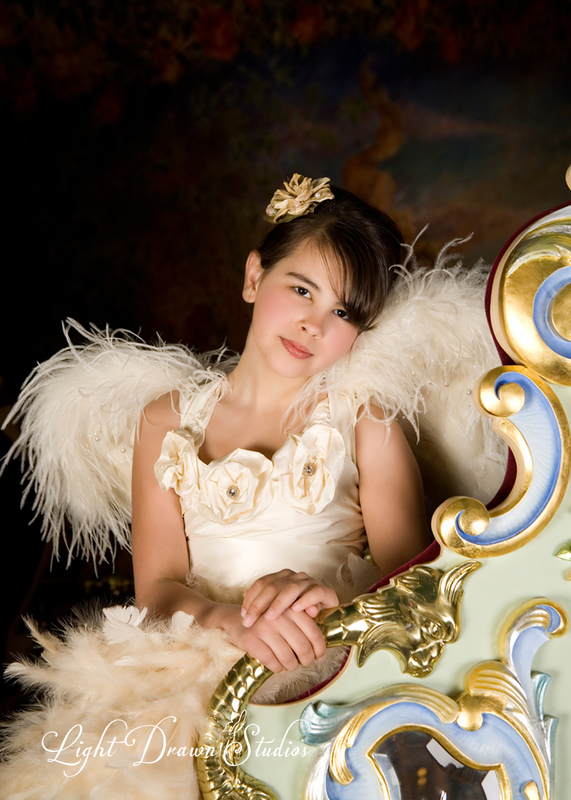 For the past 7 years, I have been blessed to be able to photograph our angel portraits on the Eden de Palais at the Sanfilippo Estate in Barrington Hills. 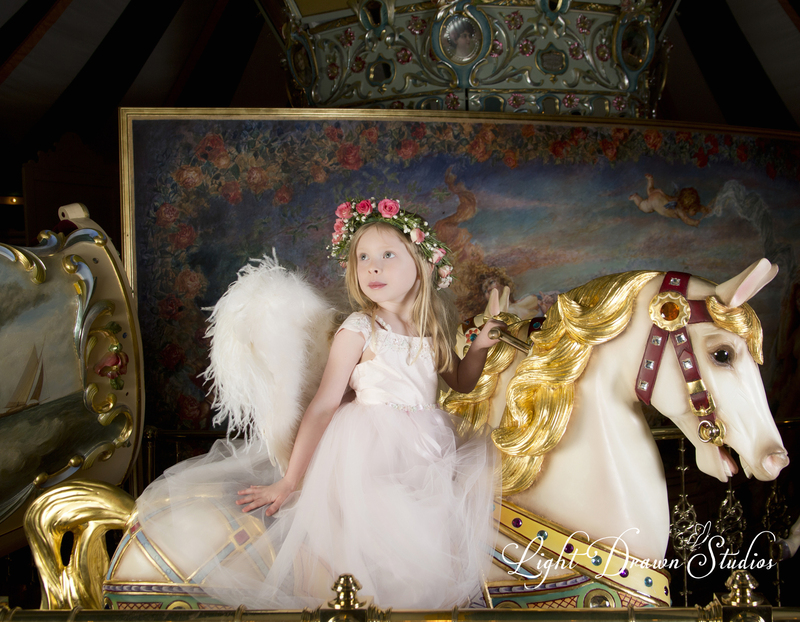 Being the only photographer in the world allowed to create portraits on that amazing carousel has been such a gift to both myself and WINGS as well as the children who are able to take part in this experience. Over the past 10 plus years, we have been able to help raise over $300,000 for the women and children who use the services and shelters of the WINGS organization as a refuge from domestic violence! If you want to get involved with this project, we will be photographing our sweet angel portraits this coming April 11-14. Please call 224-655-7801 or contact us and join us in supporting women and children in need!